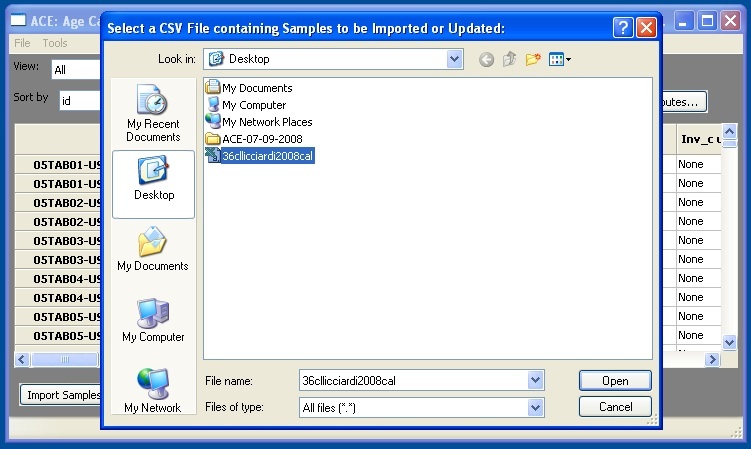 Data is imported into ACE using comma separated value (csv) files, a textfile format commonly used in spreadsheet programs like Excel and OpenOffice. 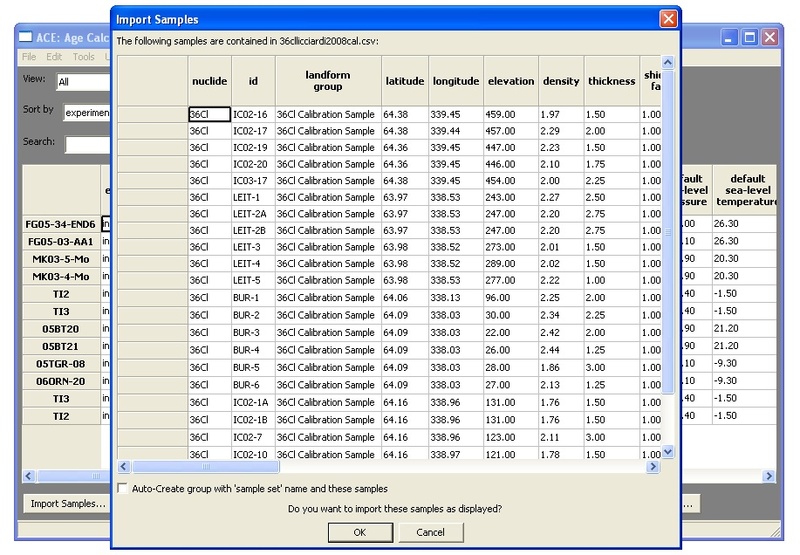 The data section of the ACE website lists which sample attributes (columns) are required by ACE to date a sample and which are optional, and gives units for all variables. To make things easy, we recommend that you start with a preformatted file, add rows of your own data, and then delete the original rows. 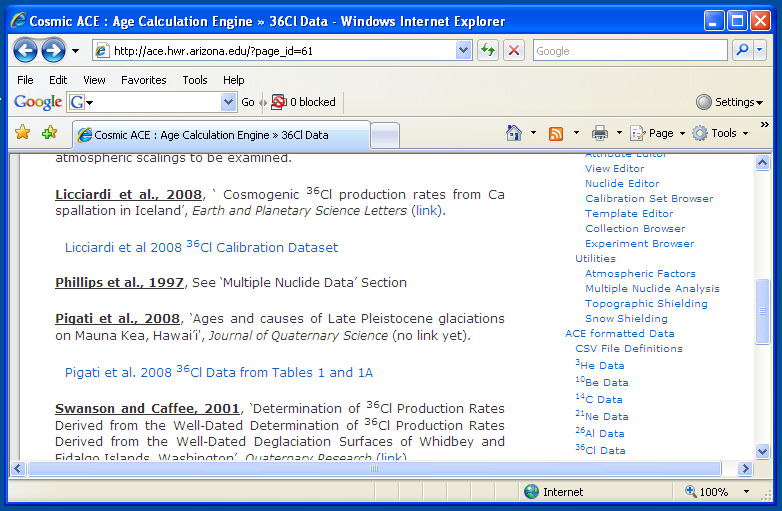 ACE preformatted datasets are available here. 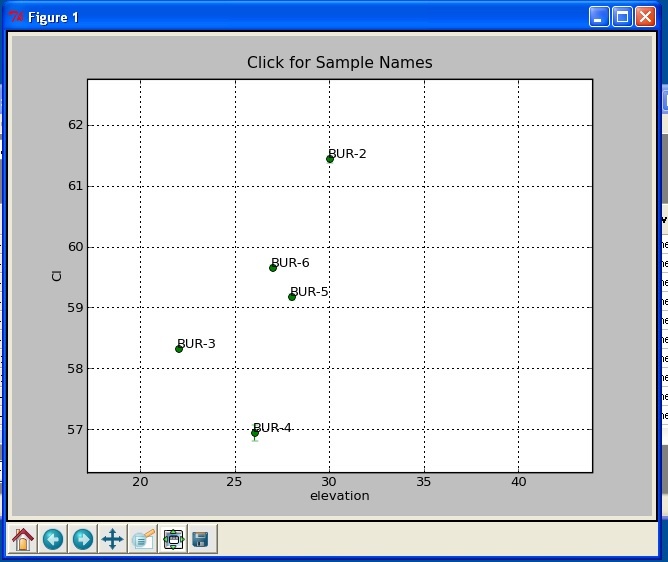 To obtain the dataset lift click on the link ‘Licciardi et al 2008 36Cl Calibration Dataset’ and download. 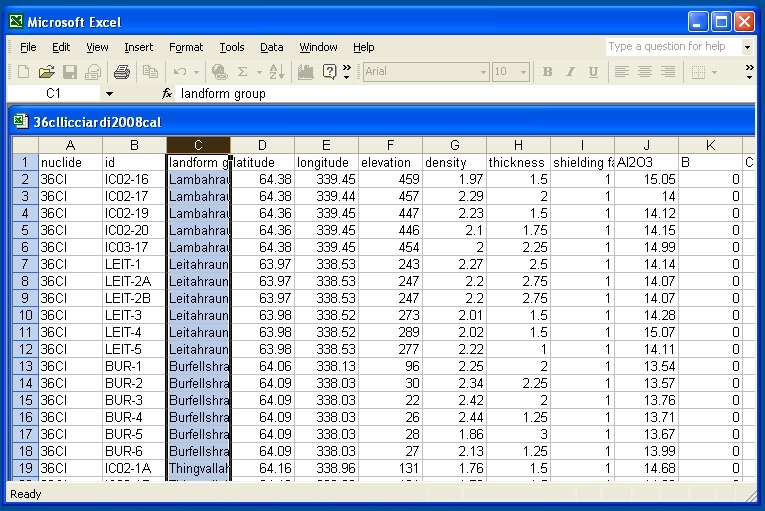 This file can then be viewed in Excel or OpenOffice. The file can be modified to include new data, change existing data or delete unwanted data. 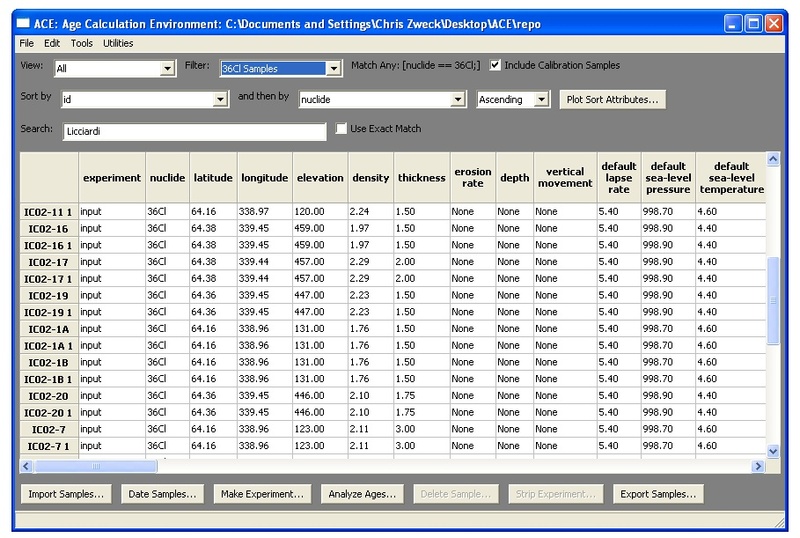 Samples can also be duplicated; this allows for effects such as sample erosion to be determined by duplicating a row and changing the erosion rate in the second row. Note that here the samples id’s have a ‘1’ appended; this is because the Licciardi et al dataset is already supplied with ACE, so these imported samples are considered to be variants of the originals, and name accordingly. This is useful as you can modify csv files with duplicate rows of data, and each row will be read in by ACE an appended with a new number as a suffix. Processes like erosion can then be examine by creating duplicate rows in csv files and modifying the ‘erosion rate’ column. Then at import stage many samples are read in with identical attributes except for erosion, and each sample is named differently. 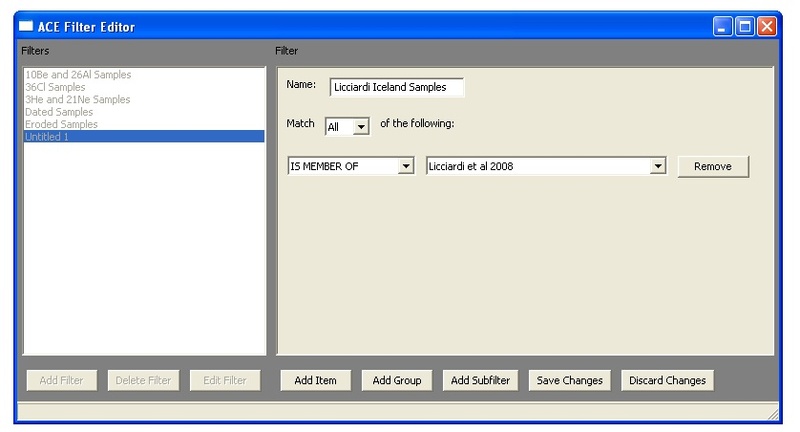 When samples are imported in this way they are shown alongside existing data in the Sample Browser. 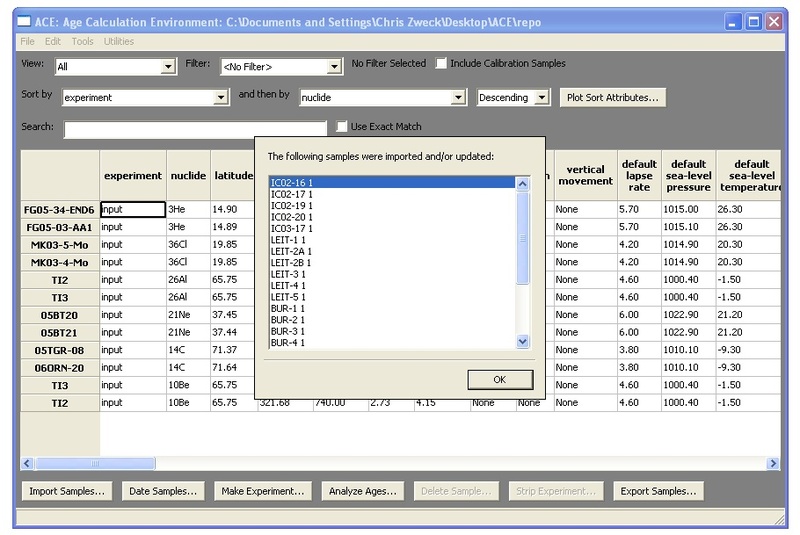 Remember that as these samples contain independent age attributes, they are considered to be calibration samples and will only appear if the Include Calibration Samples checkbox is ticked. We are now ready to date these samples in the next section of the quick start guide. As the data is imported into the Sample Browser, we can use the browser to examine it more closely. 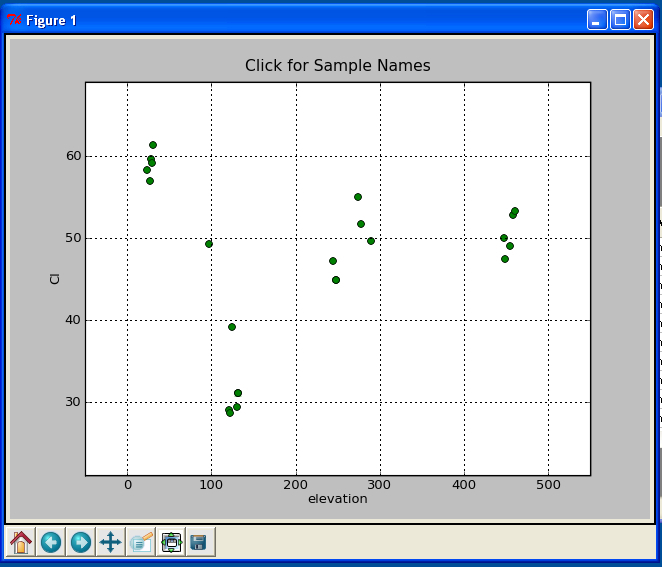 For example here is the plot of elevation vs Cl for the Licciardi et al 2008 data made using the Plot Sort Attributes utility. 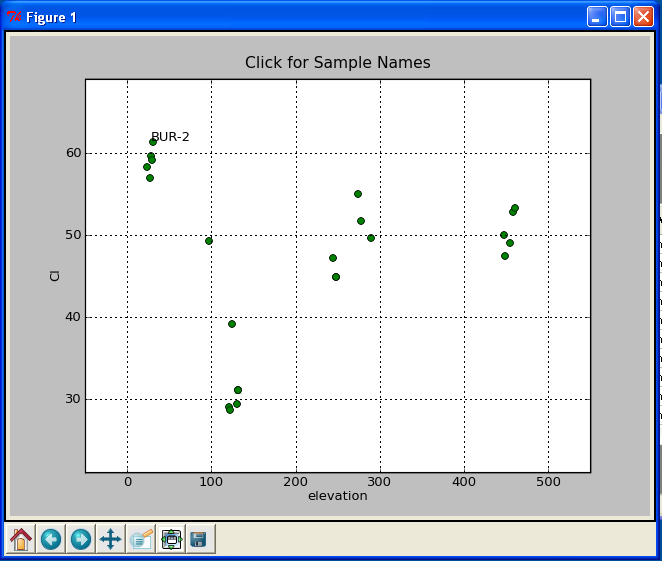 Using the buttons at the base of the plot users can zoom, pan, change axis spacing, and save the plot to various output formats. The figure below shows a zoom and pan into the samples with low elevation. By clicking on each sample their names are also listed.